Today saw a rare moment of insight into the workings of Britain’s intelligence services and the mindset of those who lead them. It was but a fleeting glimpse, though – provided by a former employee, summoned to give evidence to the Home Affairs Committee in Parliament. Q: Have the unauthorised leaks have a negative effect on morale? Omand says that his impression, from the outside, is that it has been a bitter blow. There have been concerns about reputation. And they have been accused of breaking the law. They have been accused of using the US as a backdoor, to circumvent UK law. Omand says he does not think that is true. There has been an impact on families too, he says. And he suggests there has been an impact on recruitment. Would parents encourage their children to join an organisation accused of acting like this. In other words, as far as David Omand is concerned, the problem is not that the all-powerful British security agencies have been collecting bulk data on the personal communications of British citizens without reasonable suspicion of criminal intent. No, the real outrage is the fact that in protesting the draconian steps taken in the name of our safety (but without our knowledge or consent), having found out about them, we have hurt the feelings of the people who have actually been doing the spying. Never mind the right to privacy – the fragile egos of our intelligence analysts are apparently at stake. Q: Don’t we need whistleblowers? Omand says he supports the free press. In a well-regulated society, you don’t need whistleblowers. So there we have it. If society is well regulated – meaning, as far as I can tell, if the elites are free to do whatever they think needs to be done under a secret gentlemen’s agreement, and the public are willing to be docile and credulous and to relinquish any expectations of oversight or checks on power – then there would be no need for whistleblowers such as Edward Snowden. And in a sense, Sir David Omand is right. A “well-regulated” society such as this would not need whistleblowers, because it would have sacrificed so much of its integrity and worth that there would be nothing left for an honourable whistleblower to defend. This Parliamentary performance by the former head of GCHQ provides a very revealing insight into the self-entitled mind of our political and national security elites. In their worldview, not only are they perfectly entitled to treat the average citizen with suspicion and intercept their personal communications at will, but they should also be allowed to do so with total impunity, and without ever being made to feel the slightest bit bad about their actions, either through having their clandestine work revealed by a whistleblower, or by reading a negative newspaper editorials on the subject in the aftermath. Omand is essentially telling us that our first thought as members of the public, when confronted with proof of massive government surveillance by whistleblowers such as Edward Snowden, should not be for ourselves, the people whom the security services supposedly exist to protect and serve, but rather for the sensitive feelings of the GCHQ operatives and their political masters. If that strikes you as being slightly ludicrous, that’s good, because it should. A fearsome building, apparently filled with very sensitive souls. The impact of the Snowden revelations on morale within GCHQ should not be our overriding concern at this time. The organisation has been flagrantly violating the privacy of fellow British citizens – who should not be their target – unknown and unopposed, and a certain dose of guilt and shame for having done so is probably quite appropriate. Of course, ultimate responsibility for the actions of the intelligence services rests with the government and the elected politicians who sanctioned the draconian use of surveillance practices without ever seeking the consent of the people. 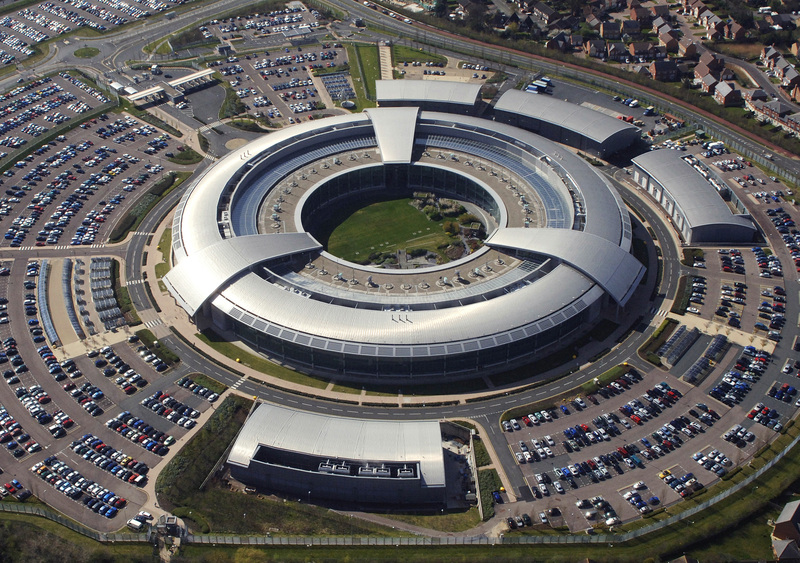 It is true that people working for GCHQ and the intelligence services are given orders and must carry those orders out as part of the job, and I also appreciate the power of organisational or institutional loyalty, and the corrosive effects of groupthink, both of which may play a part in allowing intelligence agency operatives to justify some of the actions that they take. But this does not absolve them of all responsibility. Yes, the buck stops with the Prime Minister and the Home Secretary, but good men and women at all levels within the hierarchy who knew of what was taking place should have stood up and said something. The sad fact is that were it not for a disgruntled and outraged American citizen blowing the whistle and releasing incriminating documents to the media, the British public would still be blissfully unaware of what has been taking place. Omand says a whistleblower has to have exhausted his other options. Edward Snowden could have gone to his employers, or to Congress. Imagine if he had walked into Congress, flanked by the editor of the Guardian, saying you have been lied to. He could have achieved his objectives, without having had to take more than 50,000 documents. Is it not striking that when pressed to come up with an alternative to releasing sensitive intelligence documents to the media, the only alternative scenario to whistleblowing offered by Omand occurs in the context of the US government, and not the British? Firstly, it is somewhat ludicrous to suggest that Edward Snowden could have followed this course of action. There were those in Congress, after all, who were aware of the NSA’s activities but who felt bound not to talk about them. And with unrepentant national security fanatics such as Peter King and Mike Rogers in the House, Snowden would likely have been disappeared before he had finished uttering his first sentence. And secondly, how does Omand picture the same scenario playing out in the United Kingdom? Clearly not well, as he doesn’t expand upon the scenario during his testimony. So the concerned GCHQ analyst walks into Parliament flanked by Alan Rusbridger of the Guardian, and tells MPs that they had been lied to. What happens next? How, in any way, would that analyst’s objectives of raising awareness of the malpractice be accomplished? It wouldn’t. Whistleblowing actions of the type carried out by Edward Snowden are sadly necessary, because it is simply not enough to flag misbehaviour by the national security complex to elected representatives in Parliament or Congress. In the US Congress there are a sufficient number of cheerleaders for Bush-era, PATRIOT Act-style security that the whistleblower could almost certainly expect immediate reprisal and persecution, and in the case of the British Parliament, there sadly exists a lazy general consensus that the security services should be left in peace to do whatever they think is reasonable to keep us safe. In neither country, Britain or America, is there a plausible scenario where a concerned citizen could approach elected politicians with evidence of wrongdoing by the state and expect that their personal privacy and liberty to be respected and guaranteed in the aftermath. We know this because time and again, we see the majority of public officials (with a significant but outnumbered minority of brave dissenters) closing ranks to defend the intelligence agencies and the status quo. Therefore, the only way to bring a halt to these practices is by releasing information into the public sphere – which, it should be acknowledged, has been done in a very measured and sensitive way by Snowden, and is certainly no indiscriminate data dump – to increase public awareness and concern. It would have been foolish to expect the former head of GCHQ to offer anything other than a full-throated defence of the work that he and his agency were so deeply involved in for so long. And so, in that sense, we learned nothing new from Sir David’s testimony to the Home Affairs committee today. There will be no immediate change of policy and no deathbed confessions of wrongdoing from anyone in power just yet. And yet there was progress today. 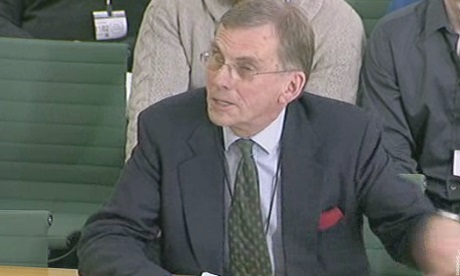 As well as the softball questions lobbed by sympathetic MPs with a similarly authoritarian outlook, Sir David Omand also had to face some tough and awkward questions. Even in centralised, deferential Britain, there are some MPs willing to do their job and represent the interests of their constituents. Take this small ray of hope and combine it with Ed Miliband’s curious new-found interest in ensuring that the intelligence agencies receive more thorough public scrutiny and oversight, and you have the makings of what now passes for a good week for civil liberties and citizen privacy in 21st century Britain. I am sure there is outrage by some civil servants within the intelligence community (policy and operational) at what their colleagues at GCHQ were doing on behalf of the NSA. Morale in the intelligence community was much lower during the Tony Blair years. I’m sure you’re right. It’s important not to lump all of the intelligence community together, and I probably didn’t make that clear enough in my initial post. Doubtless there were those within British intelligence who were dismayed to learn what had been taking place. I think that ultimately, the problem is not restricted to the British intelligence community, but needs to be tackled in our society at large. As a society, we seem largely unperturbed by the NSA/GCHQ surveillance revelations. If there is no public outrage, there will be no incentive for anything to change. Many thanks for reading and for your comment.